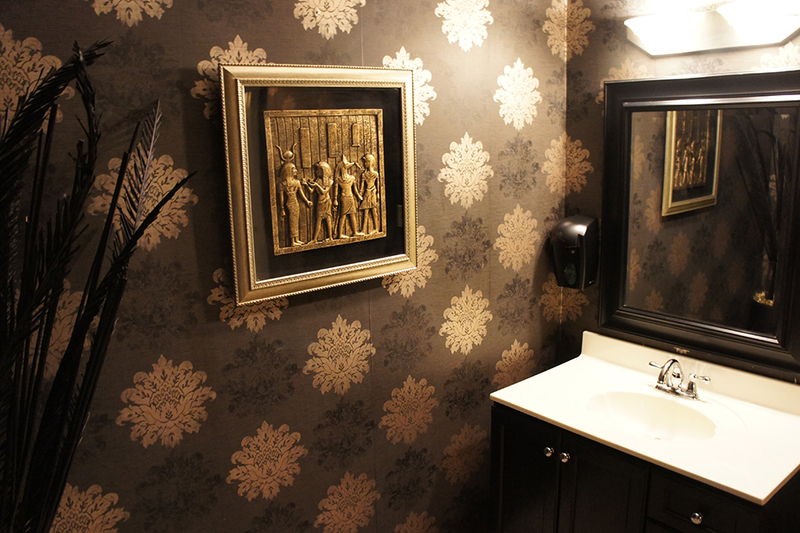 Where everyone can experience luxury. 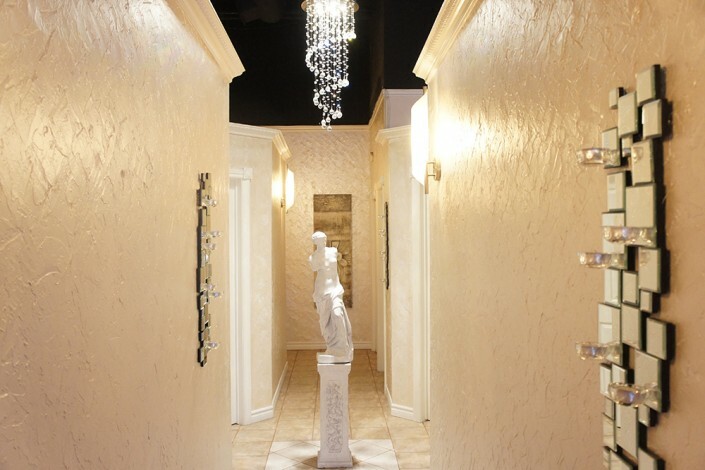 Over the last 14 years we have established ourselves as the top tanning salon in Burlington by setting the highest standards in customer service, cleanliness, knowledge, results, and competitive pricing. We have recently renovated to bring you the most modern salon in southern Ontario, located right in the heart of Burlington (see gallery). 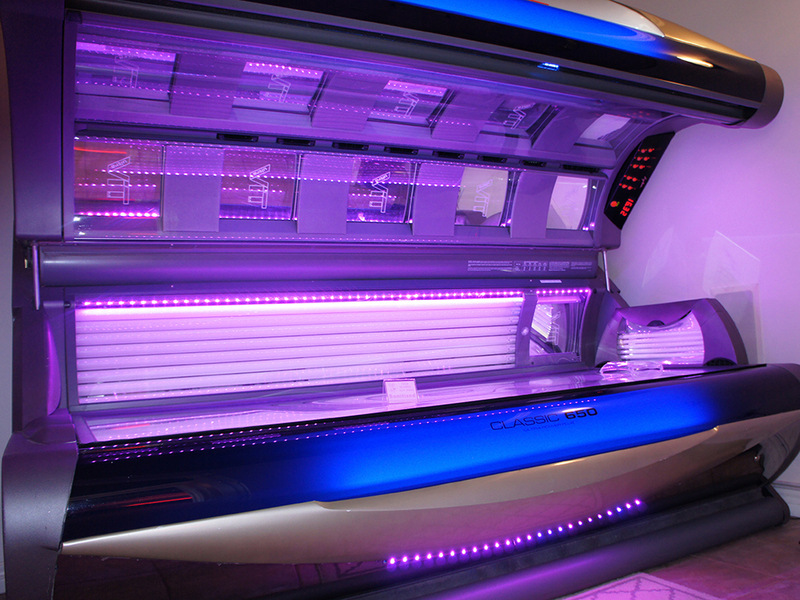 Our large spacious rooms provide a comfortable tanning environment unlike any other. 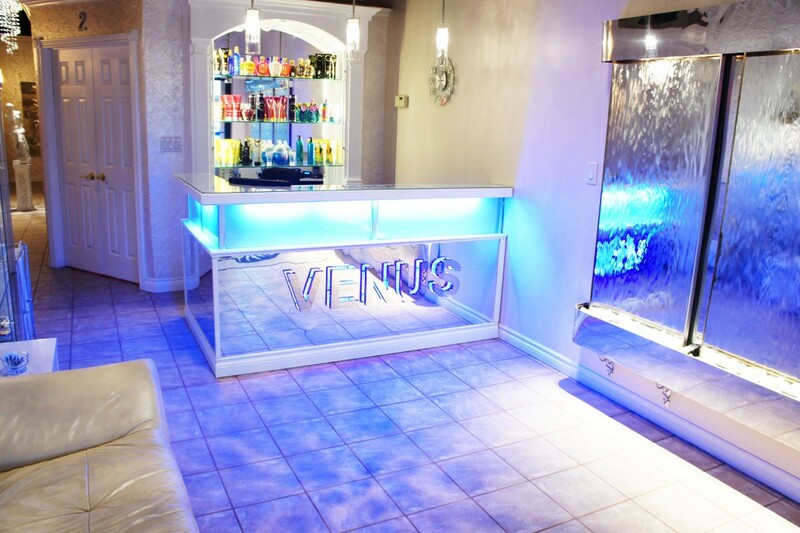 You can even relax in our lounge and enjoy complimentary beverages. 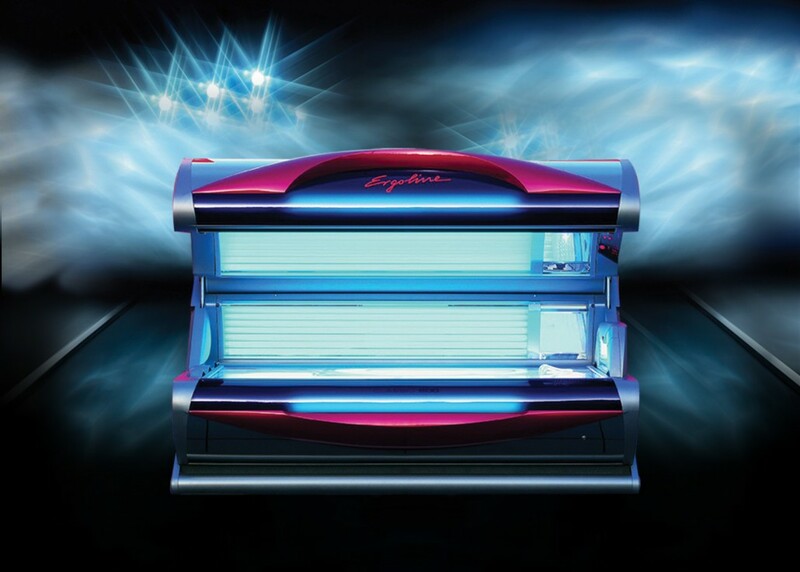 Our frequent upgrades provide you with the most innovative and sophisticated tanning technology, guaranteed to give you the results you want. 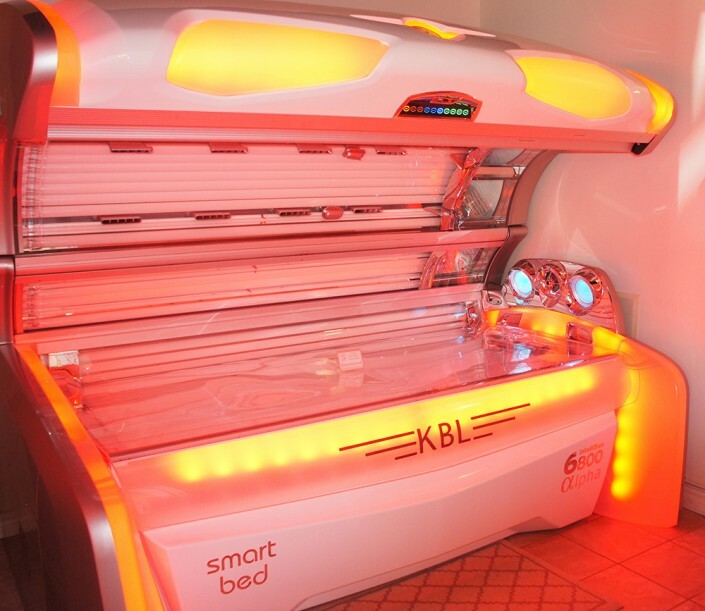 The KBL Alpha 6800 SMART BED is our newest addition. There are only 2 available in Canada, and is currently the best bed on the market. 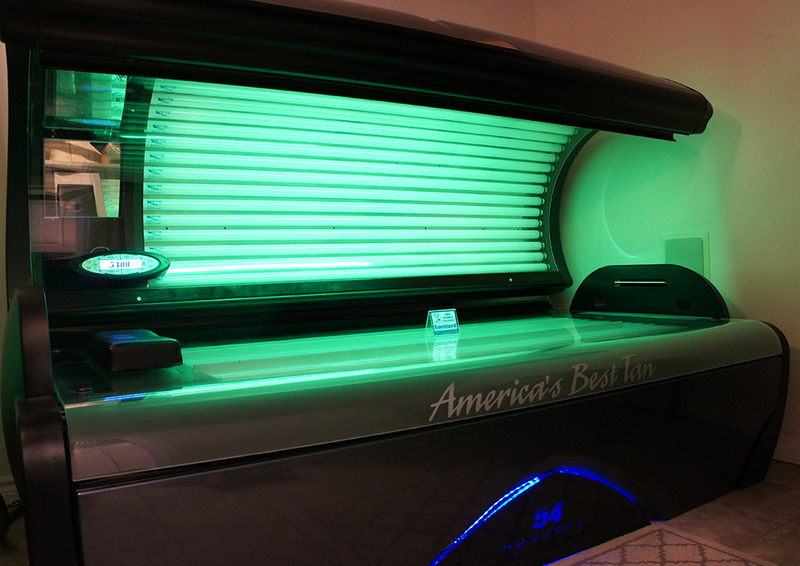 This bed provides the most powerful tan and luxurious spa-like experience. It is our promise to you that our knowledgeable, certified staff will strive to provide you the best experience possible. 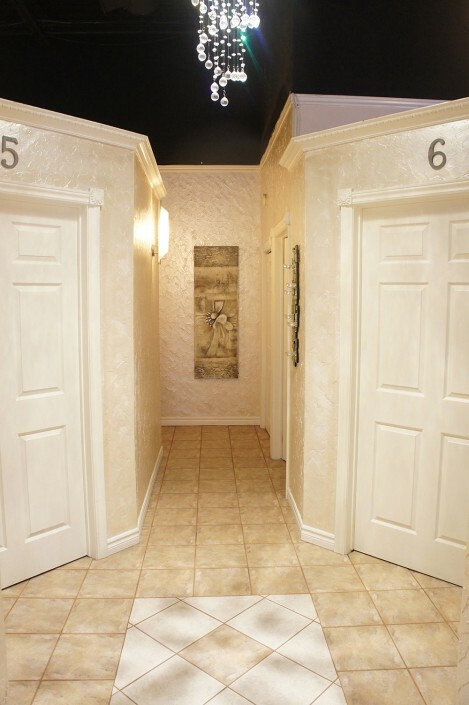 Book a session or simply walk in and come see for yourself. 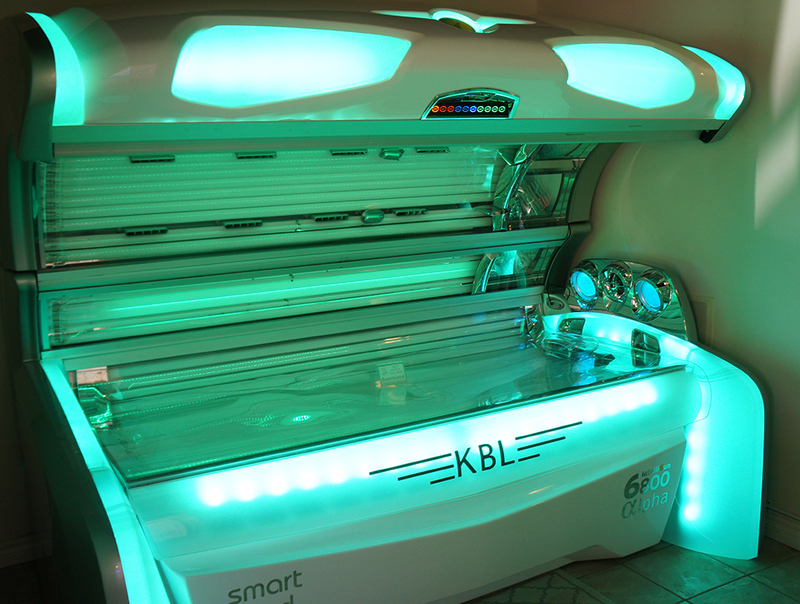 Only 2 in Canada, this bed is the next generation in tanning bed intelligence. 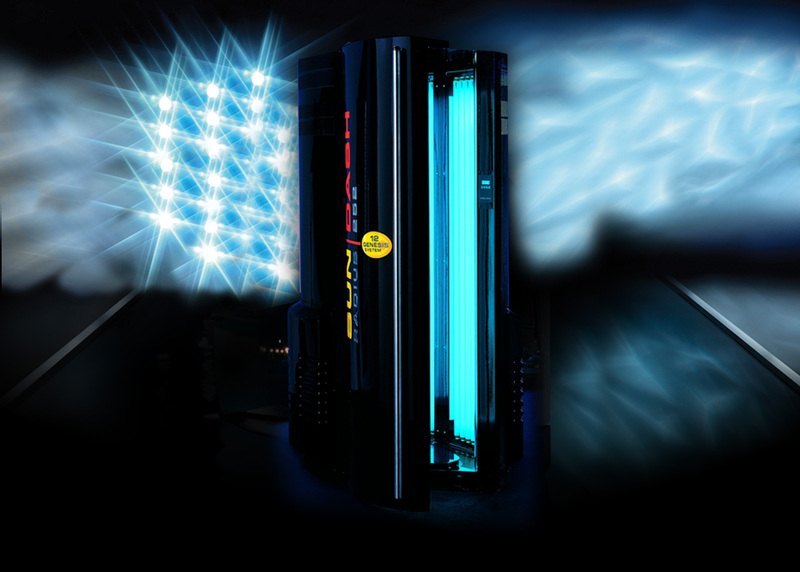 Smart Bed technology allows you to select the type of rays that you prefer. 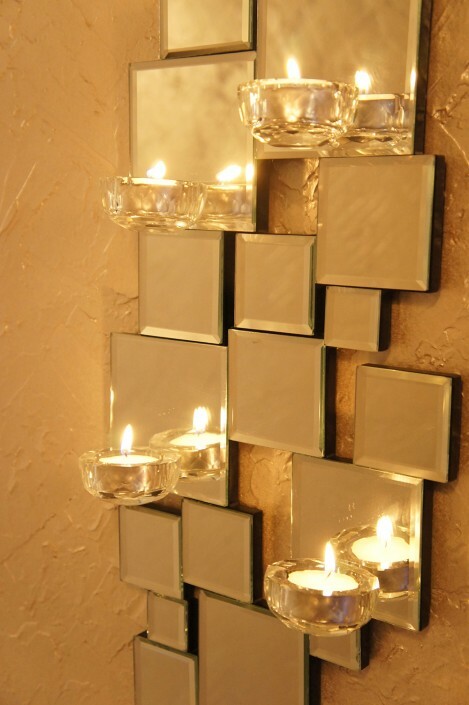 A mood enhancing 4 seasons’ light show sets the tone to escape every day stresses. The aromatherapy and aqua mist make you feel like you’re on a relaxing vacation in Hawaii. 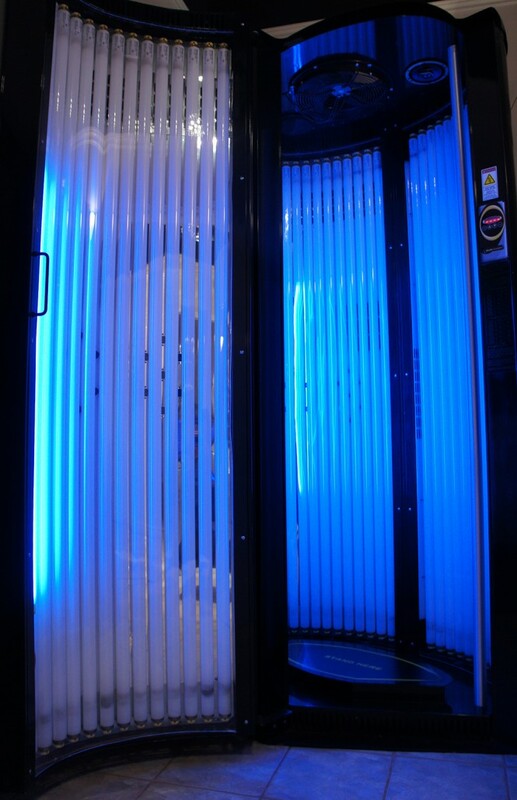 Experience the darkest and most comfortable tanning experience of your life! 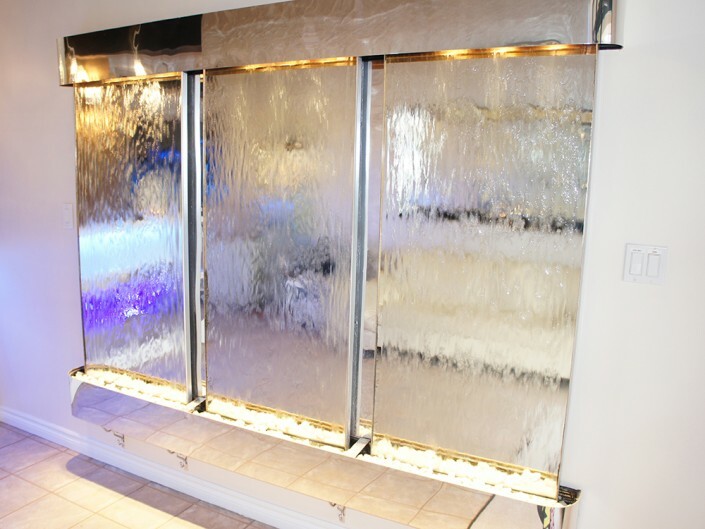 With a fascinating customized LED light show, this bed must be seen in person. 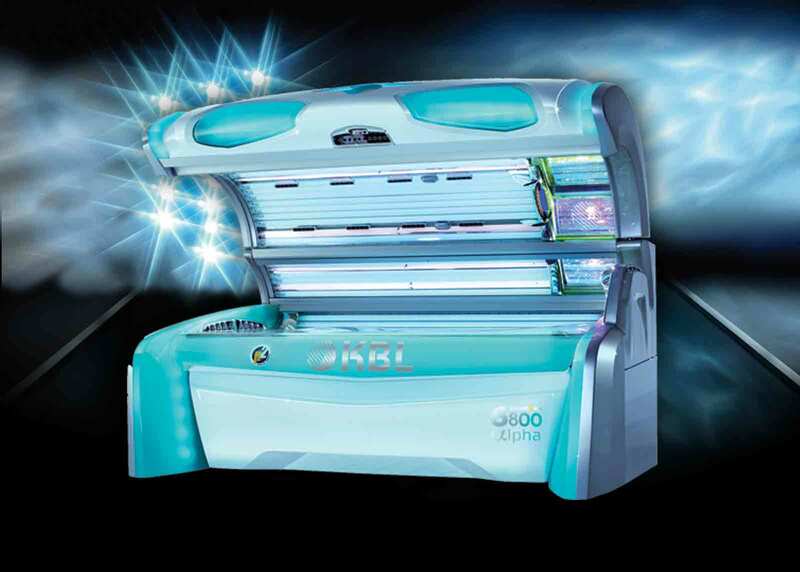 Combining high pressure and UV light sources, this bed delivers a deeper and longer lasting tan. 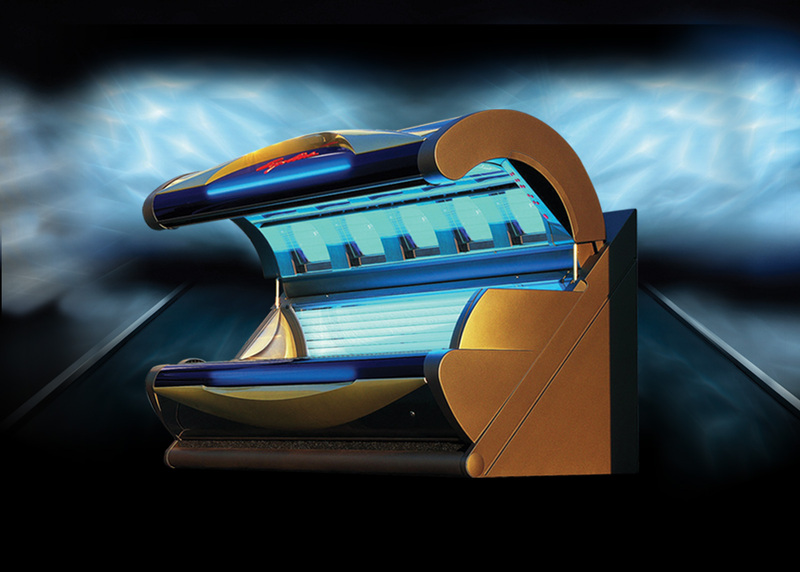 This premium tanning bed is specifically designed for the active person in mind. 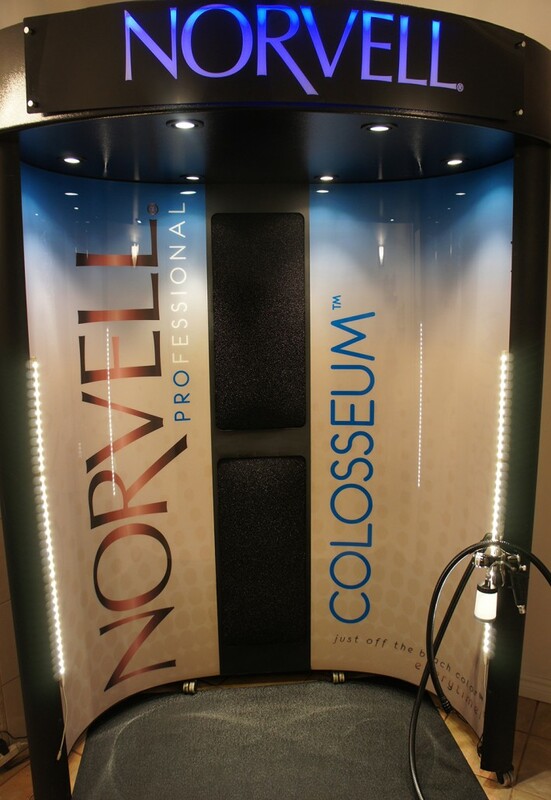 With a patent pending oval design, this unit tans you closer and darker than traditional stand-ups. 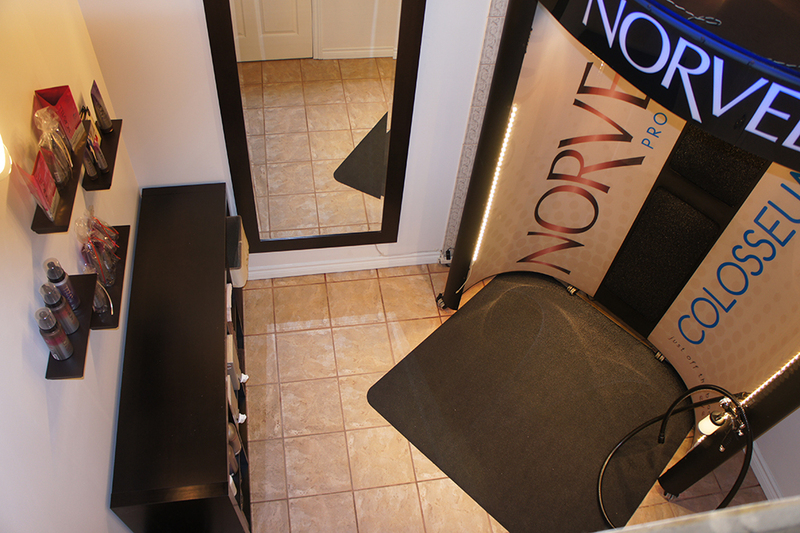 Even the tallest client can get an evenly balanced tan from head to toe. 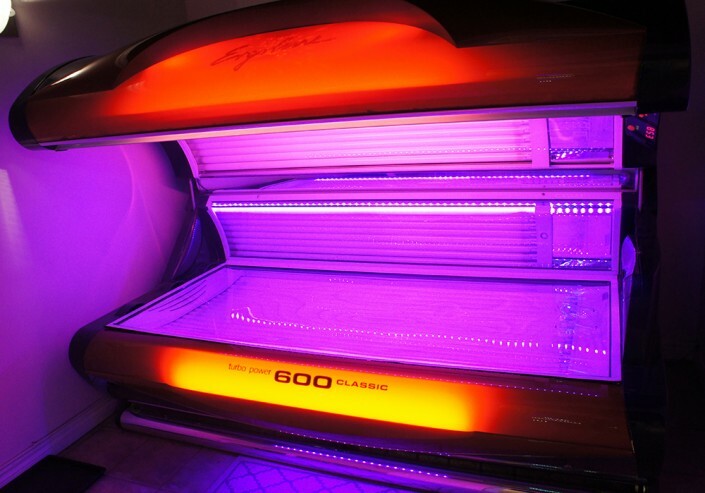 This bed sets the new standard in the high-level sunbed class. It has Eye-catching styling with brilliant LED lighting. 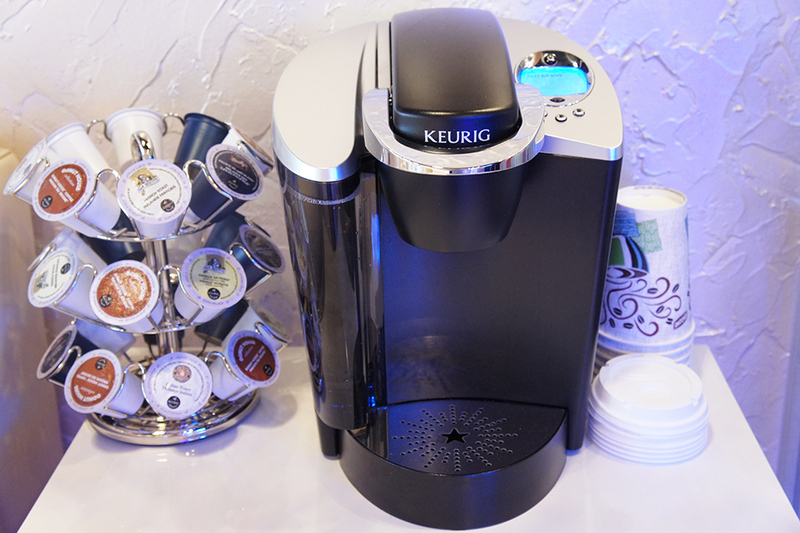 Combining technology and design, this unit offers presence with performance to match. This tanning bed is a perfect mid-level bed. This is our entry-level bed. The four step system is specially designed to optimize, build, and extend sunless tanning results like never before. 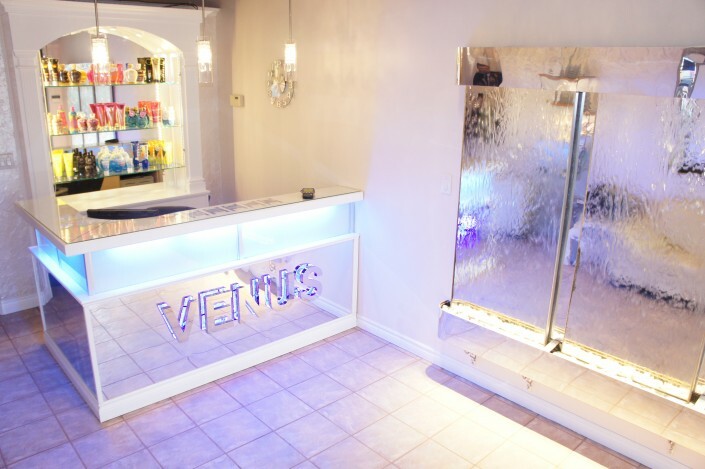 We will help you choose the best products for you to complement your airbrush tanning services or get that just off the beach colour at home. 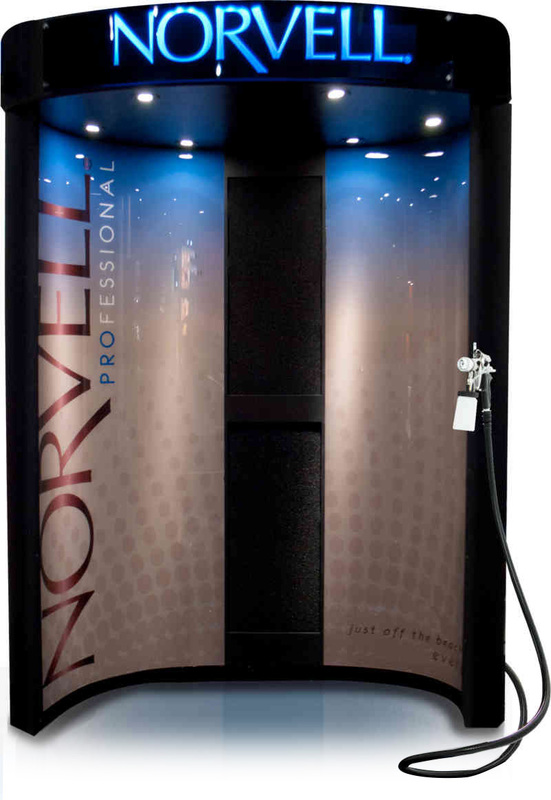 Our Norvell Coliseum booth provides the perfect spray-tanning environment while your custom airbrush tan is applied. Laura Szoke is our Certified Airbrush Technician as well as a Certified Makeup Artist, she uses her advanced understanding of skin tones to select the perfect shade or customize one just for you. • No deodorant or use sparingly if necessary. Unscented works the best. 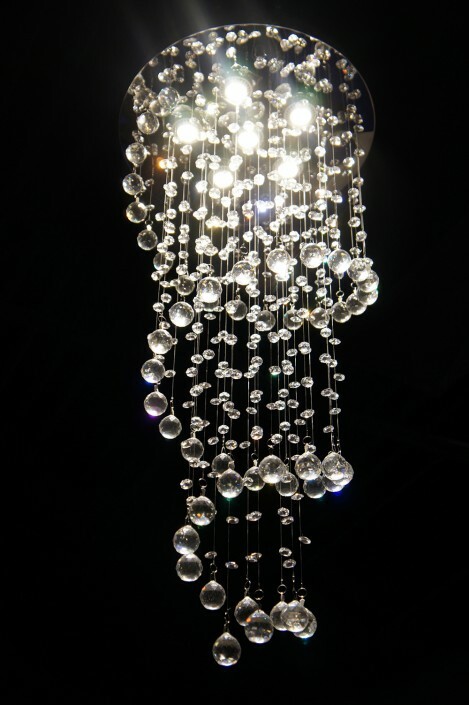 • Wear dark loose-fitting clothing; avoid underwire bras and restricting clothing. • Avoid any activity that would cause you to perspire. • Allow at least 8 hours before showering. The longer the better. Solution continues to develop for up to 24 hours. 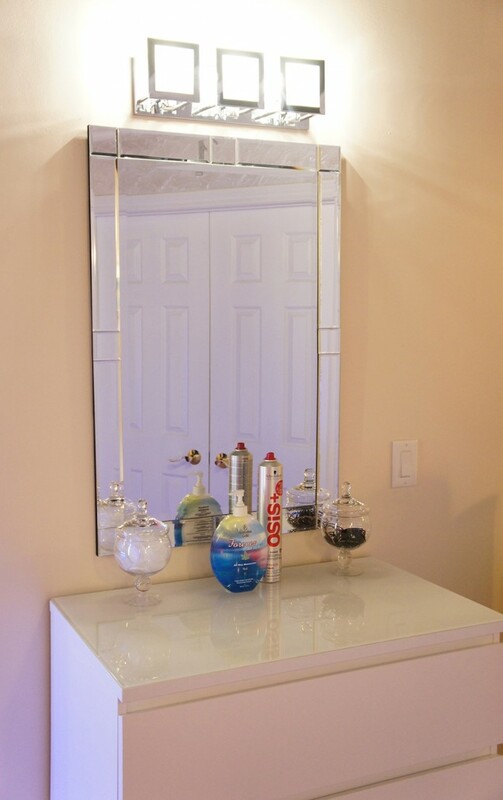 • Warm water rinse only is recommended if showering between the first 8 hours. 12 – 16 hours will provide the optimum results. Moisturized skin is the key to a longer lasting, healthier tan. Our tanning lotions increase your results by 30 – 50%, which maximizes the value of your tanning minutes and saves you money. 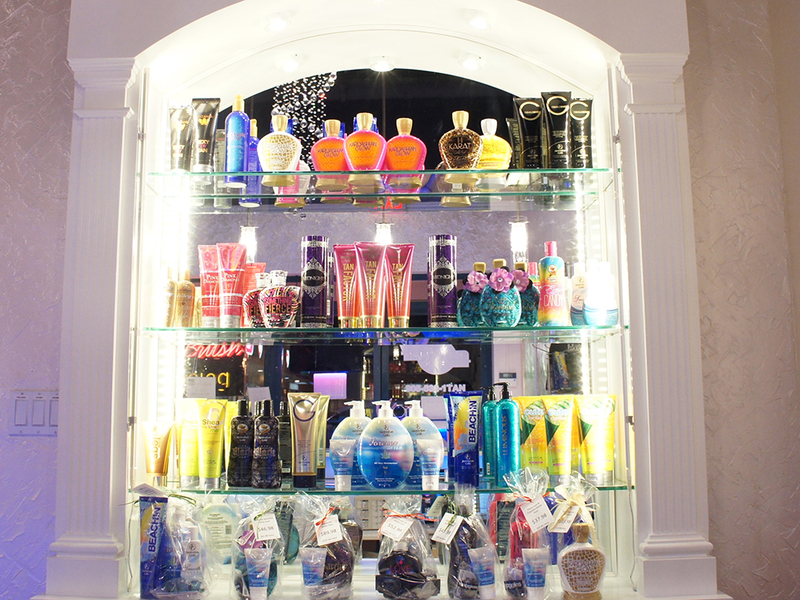 Let us help you find the right products for your skin type and needs. 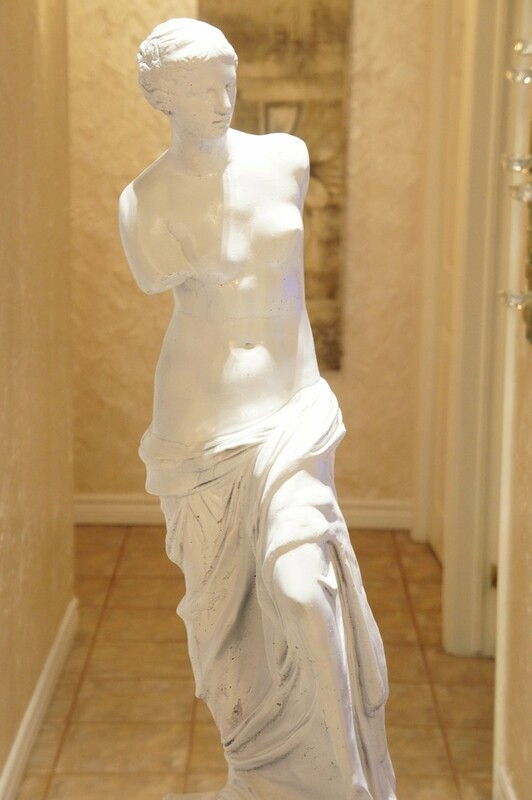 Natural ingredients provide additional pigment with no risk of staining or streaking. Perfect for every skin tone. 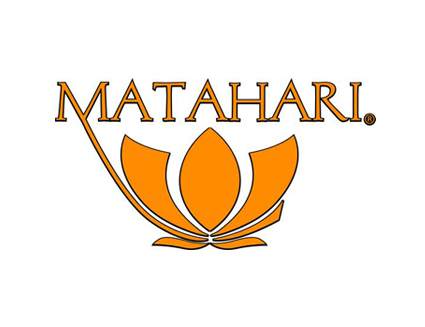 DHA, Erythrulose & Mahakanni provide deep long lasting bronzers which gradually develop over 4 – 6 hours. 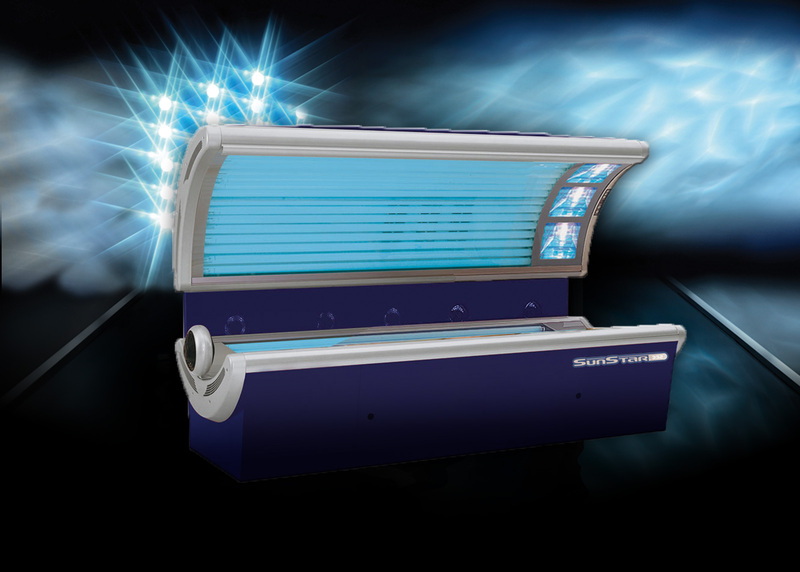 Designed for medium & olive skin tones or after a base tan is established. Will give the darkest deep brown results. Benzyl Nicotinate brings oxygen to the surface causing skin to oxidize and turn brown. Caution should be taken when using tingles due to the itchy, tingling effect. 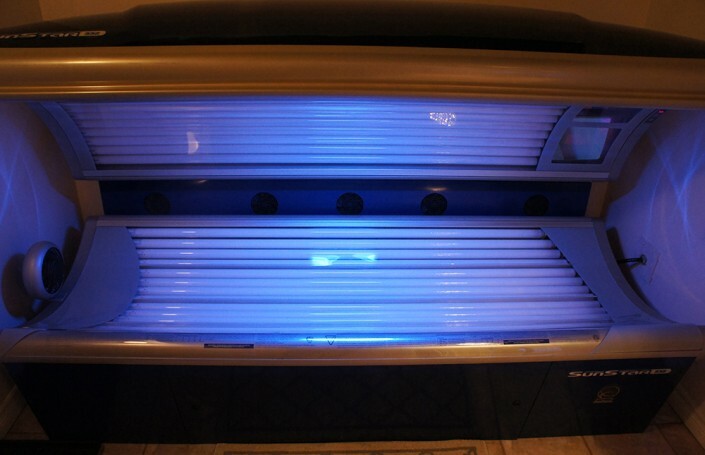 Perfect for those hard to tan areas such as legs and stomach. 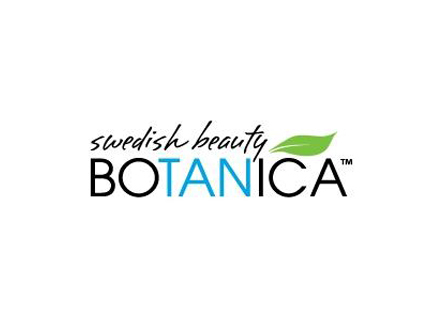 Hypoallergenic and fragrance free, these are formulated for the face’s sensitive skin. Anti-aging properties help with dark sports and fine lines. 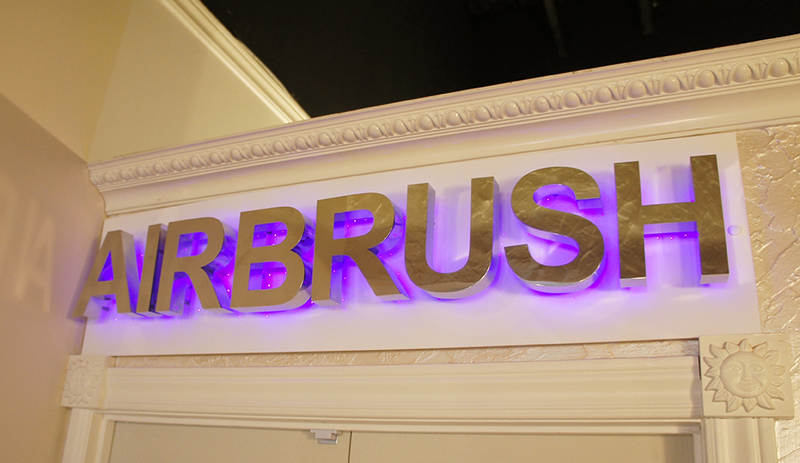 They are available as accelerators, immediate bronzers and delayed bronzers. 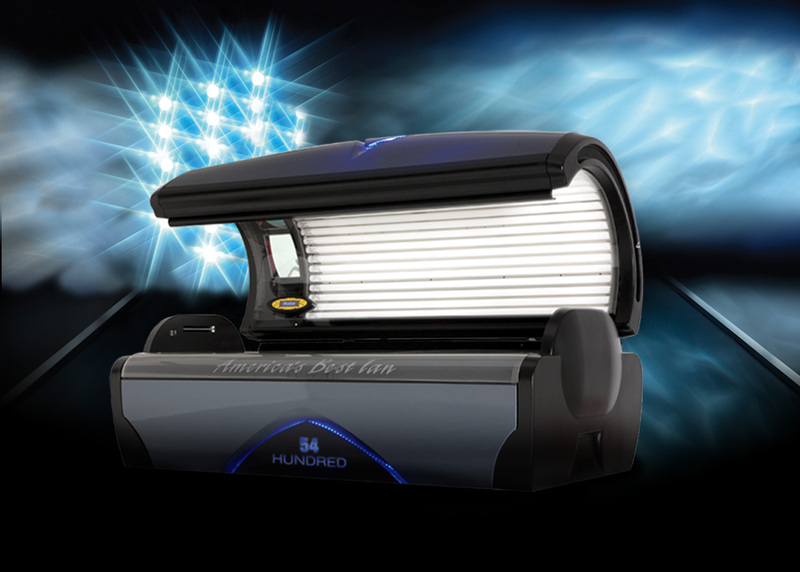 An essential step in achieving a healthy radiant glow, tan extenders are specially formulated moisturizers that are designed for tanned skin. 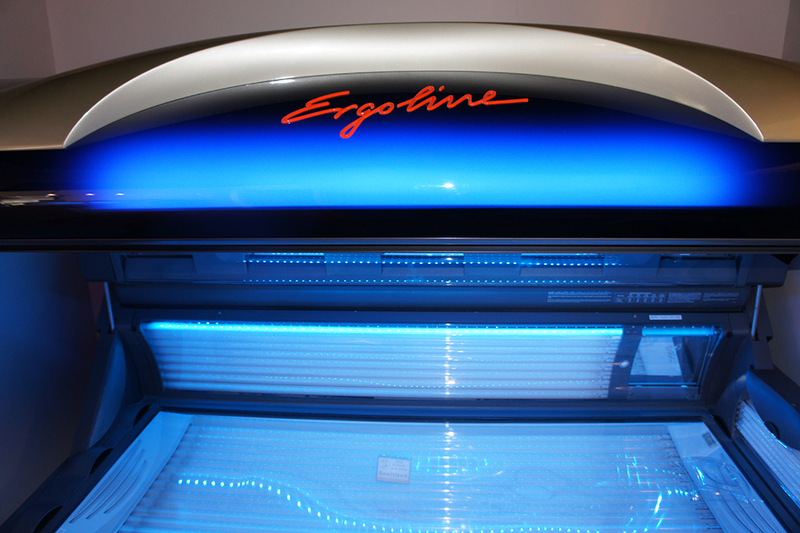 Hydrated skin better absorbs UV light and also extends the life of your tan. They should be applied immediately following a tanning session and immediately after showering. Prefer to make a reservation? Give us a call.